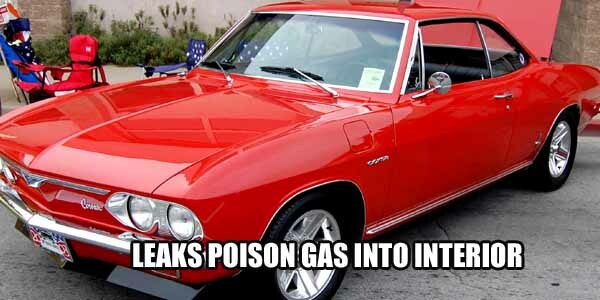 The Chevrolet Corvair had a nasty tendency to leak oil, which would drip down into the exhaust and burn. From there, the car’s heater would channel the poison fumes into the car’s interior, potentially costing the occupants their lives. Chevrolet was forced to recall the heaters on all the 1960-68 models for repairs and made the owners pay for those repairs.